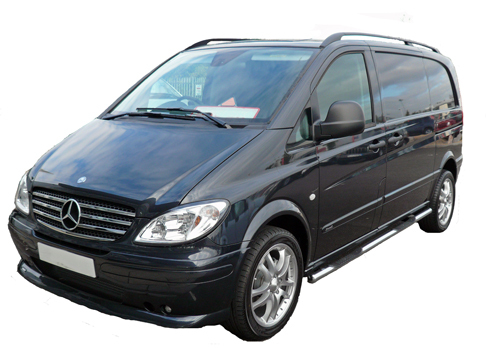 Minibuses often travel long distances and carry people of all ages. An efficient heating system is key to ensuring the comfort of your passengers. At MV Heating we have an extensive range of heaters, upgrades and accessories to suit your requirements. From large vehicles to small ones, from air heaters to water heaters, we can supply your vehicle with what you need. All our heaters come with comprehensive kits, so they are all ready for installation straight out of the box. And the upgrades we have on offer means you can customise your heater depending on how large your vehicle is or how much ventilation you require. Just take a look at the MV Airo heaters if you require an air heater or our MV Hydro models if it’s a hot water system you require. The MV Airo series blown air heaters can be fitted either inside or outside the vehicle with the addition of an MV Heating exterior stainless steel mounting box. MV Heating have a wide range of accessories available to fit single outlet or multiple outlet installations. MV Heating can provide a variety of controls to suit customer requirements from basic on/off switches to telephone operated systems to switch the heating system on remotely. MV Hydro heaters can provide central heating via matrix heaters or radiators and domestic hot for showers and sink via a calorifier. The advantage of a diesel heater is that it can be run whilst the vehicle is travelling to provide heat to the rear of the vehicle. The simple push fit plumbing systems available make installation of these heaters within the reach of the competent DIY person. The powerful but quiet MV Airo 4 is the ideal heater for the larger coachbuilt motorhome, minibus and other larger vehicles. The fully variable output from 1.4kw – 4kw give the combination of comfortable and economical control, easily adjusted using the timer included in the kit. The all new 2.2kW diesel heater! With the same footprint, yet more powerful than the Airo 2! This is the standard AIRO 2 BOOST MARINE kit. To add ducting and outlets to it, kits are available on the previous page. Simply add these to your order to upgrade your kit. The all new 4kW diesel powered air heater! This is the standard AIRO 4 MARINE kit. To add ducting and outlets to it, kits are available on the previous page. Simply add these to your order to upgrade your kit. Note: Any amount of ducting added to the kit will come as one long length. Upgrade the standard MV Airo 5 or Airo 4 marine kit to a quadruple outlet M4 kit. Upgrade the MV Airo 4 or Airo 5 M kit to a triple outlet M3 kit. Upgrade the standard MV Airo 4 or Airo 5 M kit to an twin outlet M2 kit. Upgrade the standard MV Airo 4 or Airo 5 M kit to a single outlet M1 Kit. Upgrade the standard MV Airo 4 and Airo 5 V kit to a quadruple outlet V4 kit. Suitable for both heaters as the hot air outlets are the same size! Upgrade the MV Airo 4 and Airo 5 vehicle kit to a triple outlet V3 kit. NOTE: Any extra ducting added to the kit will come as one long length.